Eastern Shore Vinyl Products is the creation of Robert Douglas, our owner and operator. When he began Eastern Shore Porch & Patio in 1990, Bob started by installing high-quality wood and chain link fences. He soon expanded his business into vinyl fence installation and vinyl rail installation, along with patio enclosures and decks. His success led him to begin selling the same reliable vinyl products he worked with every day, and at that time Eastern Vinyl Products was born. Since 1993, Eastern Vinyl Products has been providing do-it-yourself homeowners and contractors with durable, easy to install vinyl products. 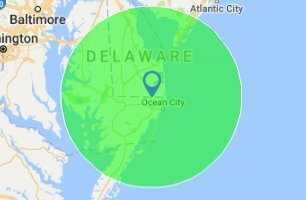 Eastern Shore Porch & Patio is proud to be the premier vinyl fence sales and vinyl fence installation company for the Bethany Beach, Fenwick, Lewes, and Delmarva areas.